This page will allow you to make changes to the registration. If you are making changes that affect the registration price, then upon completion of the change you will have the option to pay for the change (if greater than amount already paid) or refund part of the registration cost (if less than the amount already paid). 3. 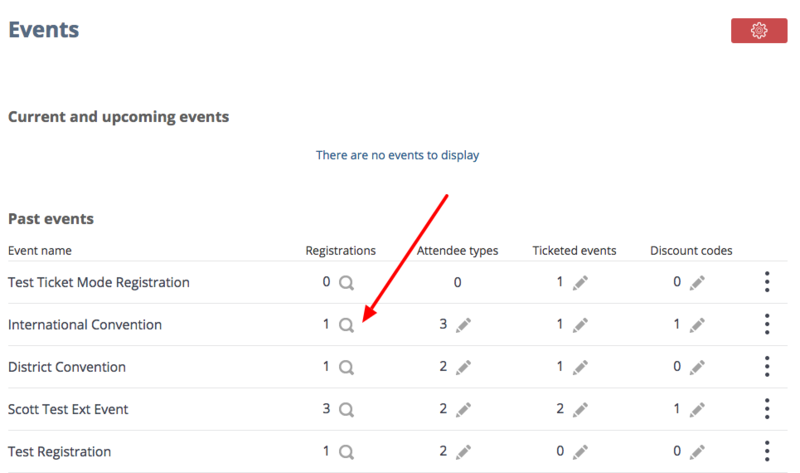 On the Events page, look for the name of the event. 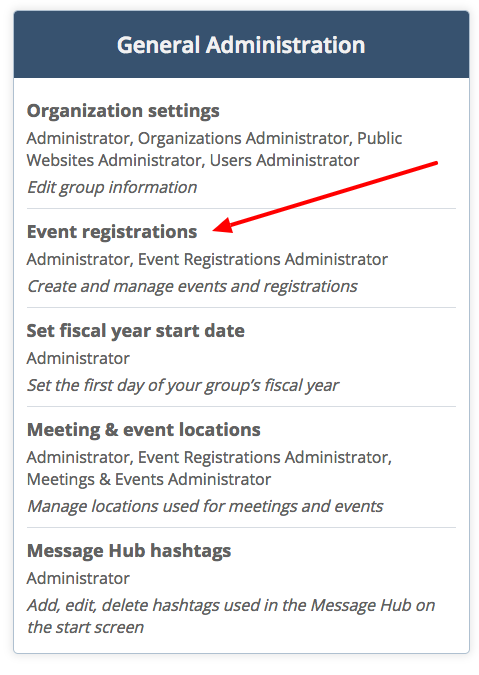 Click the magnifying glass icon under the registrations column of the event where you want to edit/cancel the registration. 4. Locate the person, click the icon to display more settings and select the 'Edit' button from the list. On the Edit Your Registration page, update the information you want to edit and click Update and pay online. 6. To cancel registration, click the Cancel the registration tab. Click Cancel to continue to the editing registration page.